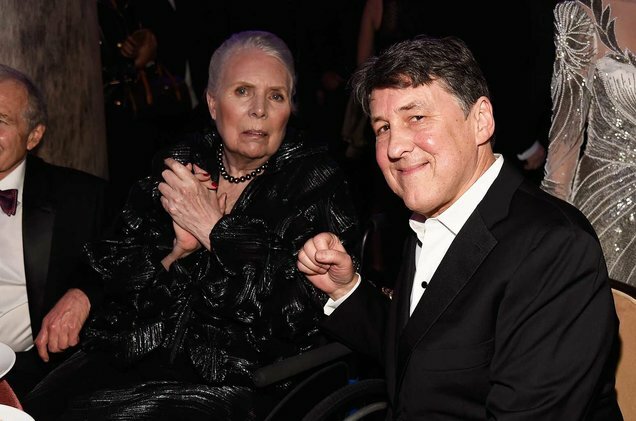 Joni Mitchell made a rare public appearance on Saturday night (Feb. 11), attending Clive Davis' annual Pre-Grammy Gala at the Beverly Hilton Hotel in Los Angeles, where she was escorted by writer and filmmaker Cameron Crowe. The wheelchair-bound singer is being honored with a tribute video and a performance by folk singer Judy Collins. The 73-year-old icon's attendance at the star-studded bash is a big deal, given she suffered from a brain aneurysm in March 2015 and was found unconscious in her L.A. home. Her health has been a source of concern since, though in late June of that year, Mitchell's attorney Rebecca J. Thyne said the artist was "expected to make a full recovery." Mitchell is a longtime regular of Davis' party, a preamble to the Grammy Awards, being held on Feb. 12 this year, so her return holds even great significance for the 41st annual bash. In an oral history of the event published by Billboard in 2015, award-winning songwriter Diane Warren recalls Mitchell being a fixture on the outside balcony, where she would often be seen smoking. Billboard Power 100 Party Draws The Weeknd & Zayn Malik, Industry Titans Among the guests who RSVP'd yes to the 2017 edition of the Davis function were Britney Spears, Neil Diamond, Chance the Rapper, Maxwell, Jennifer Hudson, Taraji P. Henson, Michael Keaton, Quincy Jones, Metallica, Stevie Wonder, Jeremy Renner and Ryan Seacrest as well as industry executives Sir Lucian Grainge (chairman, Universal Music Group), Doug Morris (Sony Music CEO), Len Blavatnik (owner, Warner Music Group), Apple CEO Tim Cook and CBS chief Les Moonves. This article has been viewed 146,042 times since being added on February 12, 2017. 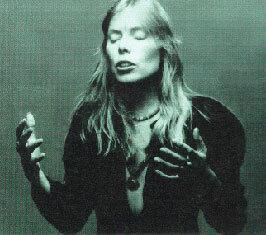 Joni: i have taken you and your creative energy in all my life. You paintings, you poems and wonderful, fun and touching music. Thank you for passing through my life and so many.